Place quinoa, water and salt in a small saucepan. Cover and bring to a boil. Reduce the flame to medium-low and simmer for 15 minutes. While the quinoa is cooking slice the vegetables, blanch the peas and place in a mixing bowl with the cherries or cranberries, pumpkin seeds and garbanzo beans. Prepare the dressing by mixing in a small bowl of measuring cup. When the quinoa is done, fluff to cool. When cool place in the mixing bowl and pour the dressing over. Toss to mix. 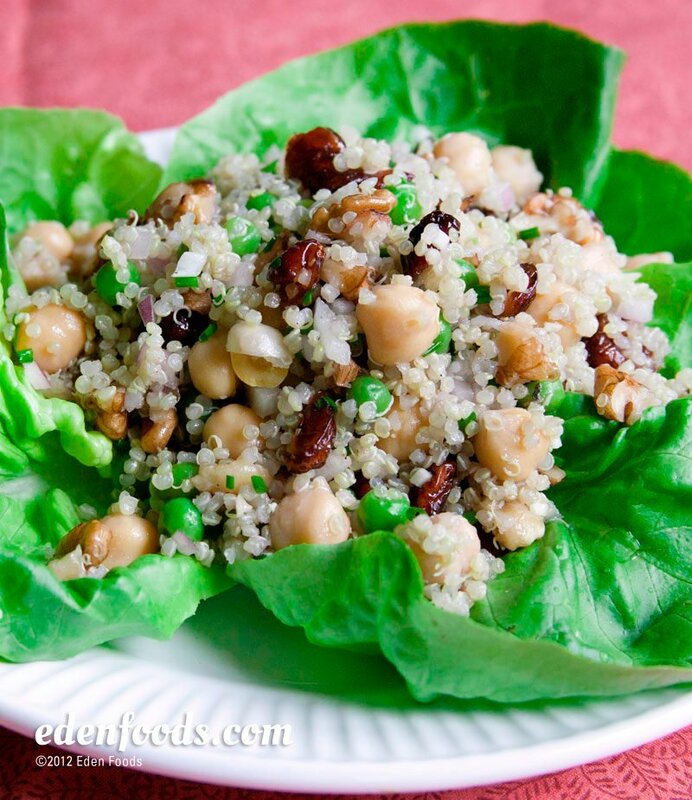 Serve on a bed of lettuce as is or refrigerate for 30 minutes before serving.